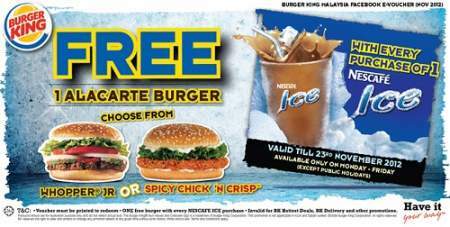 Get a voucher for 1 FREE alacarte burger with each Nescafe® Ice purchase! You can choose from WHOPPER JR or SPICY CHICK 'N CRISP! To redeem, CLICK and PRINT OUT the e-Voucher below and present it upon ordering !